Open Hands and Dirty Feet: Our New Partner Organizations! Over the last few weeks, the Ecuador site has expanded our work to support several local partner organizations. When looking at international development, many of us felt that we could be used best as a resource to sustain existing Ecuadorian institutions in addition to continuing our own Manna initiatives. When looking around our community we found several organizations that could use our support. United Nations Peacekeepers Several of us are holding twice weekly classes with a group of UN Peacekeepers to help them practice English with native speakers. Since the focus of the class is speaking and listening, it is a great opportunity for us to both expand our English program and learn more about the Peacekeepers' work. Since teaching English is definitely one of our group's favorite programs, it's been the perfect opportunity to offer more English classes. Antorcha de Vida is a local organization providing activities and therapy for mentally and physically disabled children - an amazing organization attempting to meet a great need with a small staff. We are now helping with their weekly horse therapy and water therapy to provide more support for the children. Working with water therapy to increase the mobility and flexibility of the children is both rewarding an enjoyable. It is great to connect with this group of children. For example, I frequently work with a young girl named Bonnie who loves to swim - using me for support. Aliñambi functions as both a school and home for about 30 at-risk youth. Children of all ages, many who have been orphaned or removed from their family, all live, play and learn at Aliñambi. They grow all of their food on site and are definitely in need of help on their farm. 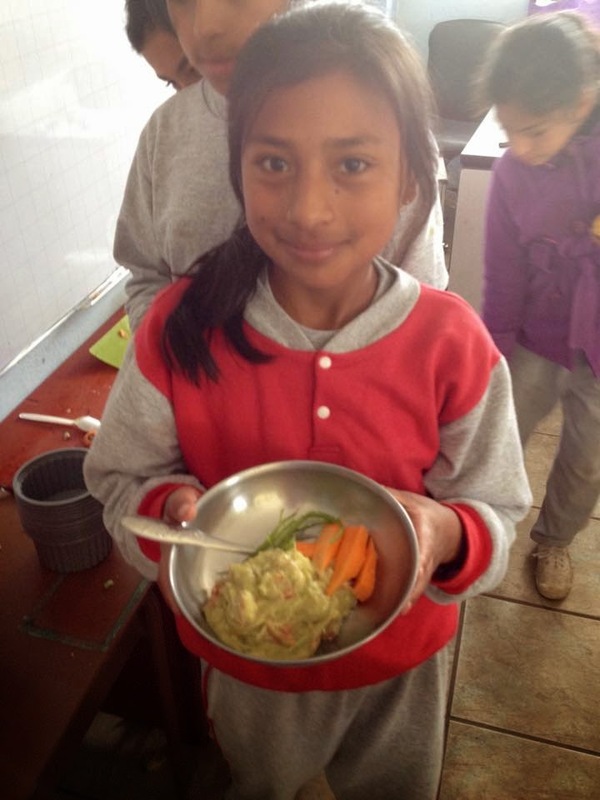 In addition to assisting with their agricultural program, we hope to start more programs with the children such as nutrition programs or English classes. Hogar de la Madre is a home for young teen mothers, run by two nurses in the local community and sustained through donations. We aim to provide donations of both food and clothing in addition to working one-on-one with these women in our weekly tutoring program. In the next few months, we hope to begin a child sponsorship program between donors in the states and these young women. While we constantly want to do more, it has been rewarding to work with an organization that is so in need of support. Gotitas de Saber is a local preschool where one of our PD's, Catherine Althaus, teaches English to about 60 three year olds each week. While that may sound terrifying to some (me), she loves working with the kids who are always ecstatic to see her and excited to demonstrate their ever-growing English vocabulary. Our main goal over the next few weeks is to continue to establish and foster these new relationships while serving as an asset where these organizations need us most. Personally, I feel that working with other organizations can be transformational to how our organization functions in these communities. Working with everything from horse therapy to advanced English classes, our new expansions help us to embody Manna's holistic mission while strengthening these local institutions. Although we've got our hands full, this is just the beginning!